With its sleek and modern design, this machine has high-end features that every sewing enthusiast will love. The Legacy C440Q sewing machine has 200 built-in stitch patterns including satin stitches, stretch stitches, decorative stitches – even quilting & heirloom stitches. Your stitch selection displays on the large LCD Touch Screen. You can mirror image, as well as adjust stitch length, width and density, providing even more creative options. Alpha-numeric stitch patterns are built in, which can even be combined with decorative stitches to create unique stitch sequences, then saved in one of the machine's built-in memories for personalizing gifts, quilts, children's clothing and much more. 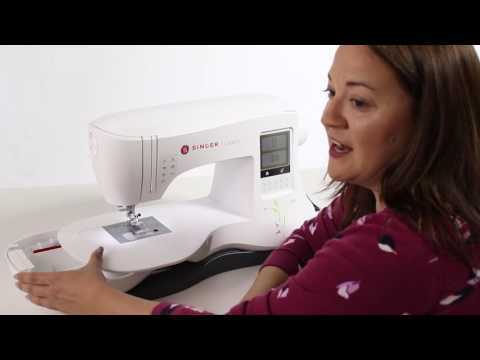 Set your machine's maximum sewing speed just the way you want it with the Speed Control. Lower the machine's feed teeth for free-motion sewing like stipple quilting or free-motion monogramming. Trim threads with a touch, using the convenient Thread Cutter Button. If you feel like you want a little assistance, there's an online Owner's Class video you can view anytime. Bonus quilting accessories are included as well: the Darning/Embroidery Foot for free-motion sewing and monograms, and the Even Feed/Walking Foot to help prevent quilt layers from shifting while you sew. High Speed Stitching (800/min)Professional speed for faster results. Provides a stable, level surface for sewing larger projects such as quilts.